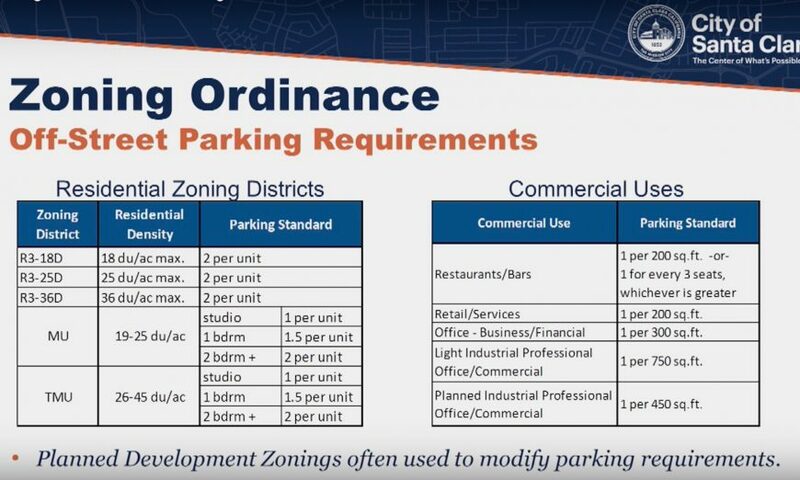 The City of Santa Clara currently relies on zoning ordinances for off-street parking that haven’t been updated since 1969, apart from case-by-case modifications made to the standards. Changes are likely coming now that Planning Department staff have commenced the process of a full fledged parking zoning overhaul. At a Planning Commission meeting on November 28, City staff led a study session about the state of parking with guest speakers weighing in on the major issues at stake. A presentation by staff on the zoning update is expected by early spring or summer 2019. 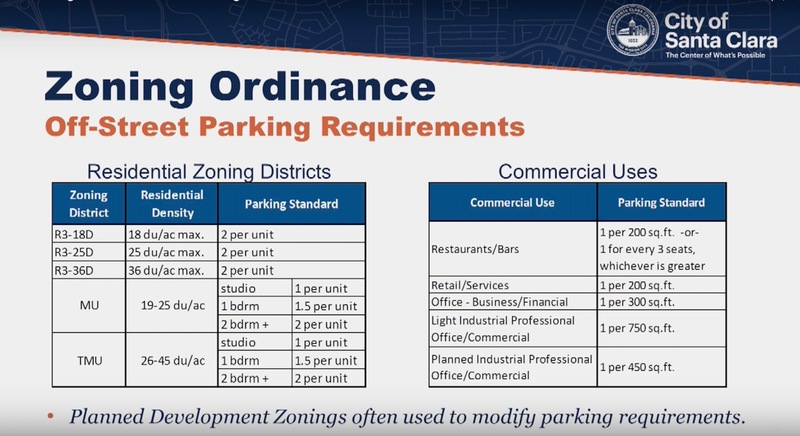 Pratyush Bhatia, senior engineer at Public Works, explained the current parking permit program in which residents of a block possess permits that give them priority for street spaces where they live. In order to obtain permit parking for a particular street property owners must garner a signed petition. Then City staff meets with the property owners to discuss possible alternatives to permits, such as time-limited restrictions. Neighbors are then surveyed and a simple majority is required to initiate a parking study of the greater area to ensure no adverse consequences result from the measure. City Council must then approve any new permit parking area. The Hilmar area is the only neighborhood in Santa Clara with permit parking. Another speaker, C.J. Gabbe, urban planner and assistant professor of environmental studies and sciences at Santa Clara University, is currently involved in studies of parking on both the national and local levels. After acknowledging the controversial nature of the topic, he commented that parking requirements imposed by governments can constrain development because developers generally prefer to build less parking than what’s required. Among other things Gabbe advocated for “unbundled” parking, which means that the cost of an off-street parking space in a residential development is not incorporated into the cost of the unit. This can reduce the cost of housing by hundreds of dollars per month for residents that don’t own cars. Adina Levin, Executive Director of Friends of Caltrain, spoke of the need to match parking supply with particular types of development, saying that parking spaces are often underutilized in certain types of developments such as senior housing. In response to the presentations, Commissioners as well as residents who offered public comments raised the issue of the area’s currently lacking public transportation system often making its usage not feasible for many people. There was much discussion about the need for walkable streets, bikeways, carshare programs and better transit to provide adequate mobility options. A public commentator posed a challenging question to the speakers about the mode of travel they had used to attend the evening’s meeting — only one Commissioner and one guest speaker responded. On Dec. 3, the Planning Department held an Old Quad zoning overlay community meeting to discuss regulations for the use of long-term group accommodation rentals. Staff also solicited input about regulations for short-term rentals like AirBnB. A possible joint City Council and Planning Commission study session is being considered for the El Camino Real Specific Plan. However there will likely be a Planning Commission study session held prior to that in February. The next Planning Commission meeting is scheduled for Dec. 12. City staff announced the updated Planning Commission budget as totaling $9,621 with expenditures at $7,279. 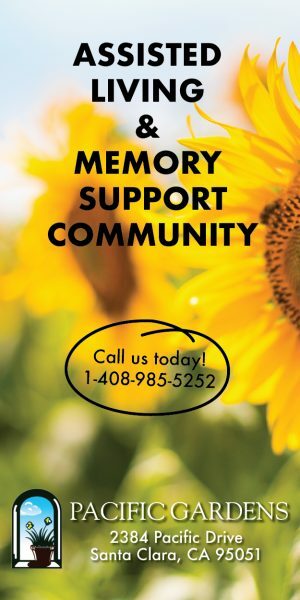 The Commissioners were recently issued email addresses associated with the City, and so will need business cards reprinted to reflect the change. A motion was passed to approve $500 of the budget to be spent on the new cards. I’m guessing this won’t run until after the meeting.